Originally from California, Elias entered the personal financial planning field in 2012 and completed his Certified Financial Planner (CFP) credential in 2015. 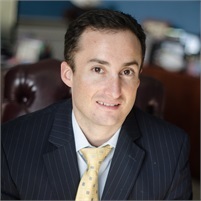 Elias worked as a financial analyst for Lincoln Financial Advisers specializing in retirement distribution planning and hospital executive retirement plans. Additionally, he is an active Enrolled Agent who has experience in tax representation and preparation. He utilizes a holistic approach to financial planning, focusing on investment tax strategies. Elias has a passion for developing and growing the community he works in. He currently volunteers as the Treasurer for the Conklin Center for the Blind and is involved in the Daytona Kiwanis chapter.